You remember Taiesha, well she’s back and it’s her birthday! 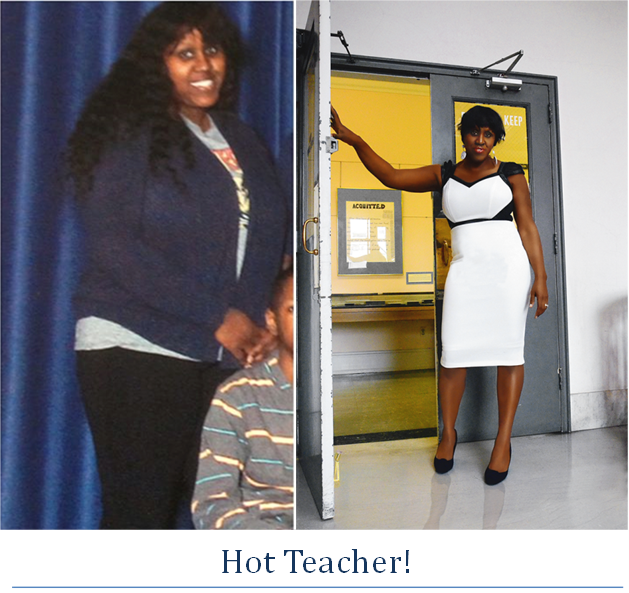 On February 28th Taiesha, mother of 5 decided that she didn’t want to go into the other half of her 30’s fat. So she came to her self and figured being healthy isn’t just working out but it’s also being a responsible eater. Taiesha started the year off (2014) at 34 years of age, with 4 children, 5 foot 6, weighing 248lbs and wearing a size 18. It is now her 35th Birthday and she is down 65lbs and is finally in ONEderland (In the 100lb club)! Woot Woot and Congratulations Girl! Again, I’m telling Taiesha’s story because she was the number one person in my life that was the most cynical about healthy living but she had to come to the conclusion that there comes a time in our lives when we must become responsible for our own weight and health and that she did! To keep her motivated, for her birthday I got my glam squad together and we went on location for a photoshoot. 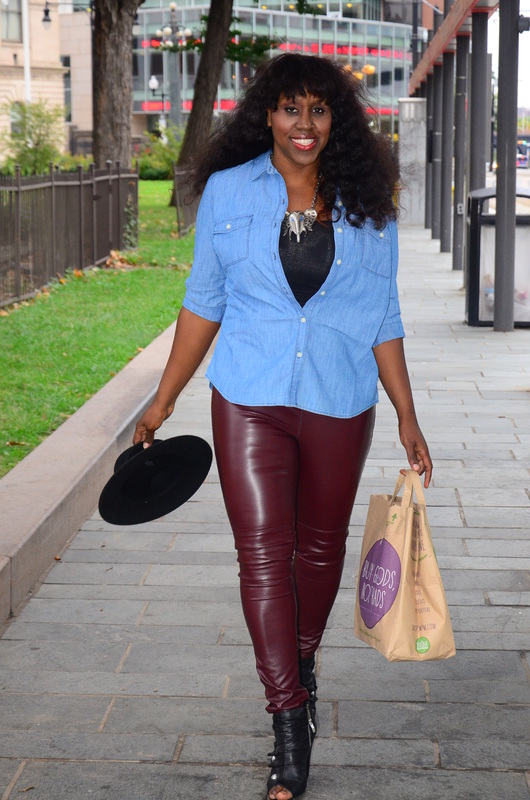 Taiesha is a Teacher that’s used to wearing sweat pants and crocks so you know we glammed her out! Check her out below! Eating Healthy is not depriving yourself – People always think that cutting out the more carb rich foods is depriving yourself. IT IS NOT and it’s in your head. Control your cravings and be smart about them. There are a ton of different foods out there that taste great and are good for you. Diversify your pallet, instead of pasta try quinoa, have almond milk instead of regular milk. You have to do what you have to do to get where you want to be. It’s a sacrifice you have to make in order to get yourself on a healthier track. Don’t reward a milestone with food – I know you’ve heard this before but that’s sabotage at its best. So you lose 25lbs but you have 75lbs to go. Reward yourself by going to the gym and beating your treadmill time from the day before. I can’t tell you how good I feel when I beat my elliptical time, that’s my reward! Your Hand is Your Barometer – Portion control is important and we won’t always have a scale near in order to make sure we are eating the correct portion size. But you know when you are eating too much, You know! We eat ourselves to 300lbs because we eat half a chicken instead of a single serving. Use your hand as a barometer. Protein (lean meat) should be the size of the palm of your hand and that’s 1 serving. A cupped hand is 1/2 a cup and you should use that for starches. See more at the Hand Guide to Portion Control. Plan Your Meals – Life can be very sporadic but you must make time for you. We’ll always fall victim to I’ll just grab something on the way if we don’t take the time to prepare our meals. If you can plan to get up and go to work in the morning, you can plan to prepare your meals. PEOPLE DO WHAT THEY WANT TO DO WHEN THEY WANT TO DO IT! 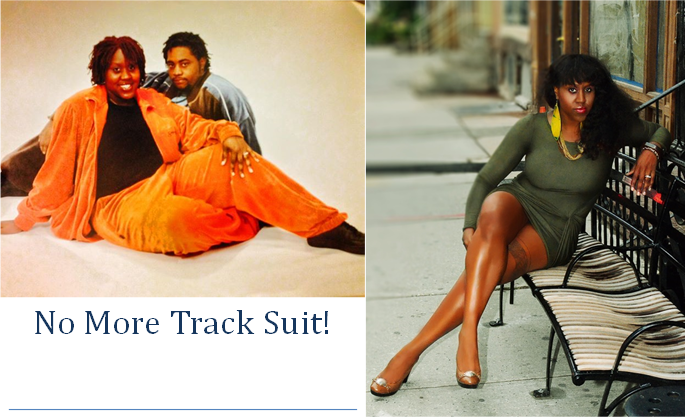 I hope you’re encouraged but Taiesha’s Transformation as much as I am! I can’t wait to get to the other half of MY 30’s in 2015 FIT TOO! ← Pose for the Camera Now, Click, Click, Click!